Summary: When Marie Curie was born in 1867 Poland, life was difficult. She had a loving family, but her mother and older sister died when she was still a child. She and another sister, Bronya, wanted to go to the Sorbonne in Paris, but the family could only afford to send one of them. Bronya went first, became a doctor, and supported Marie when she was through. 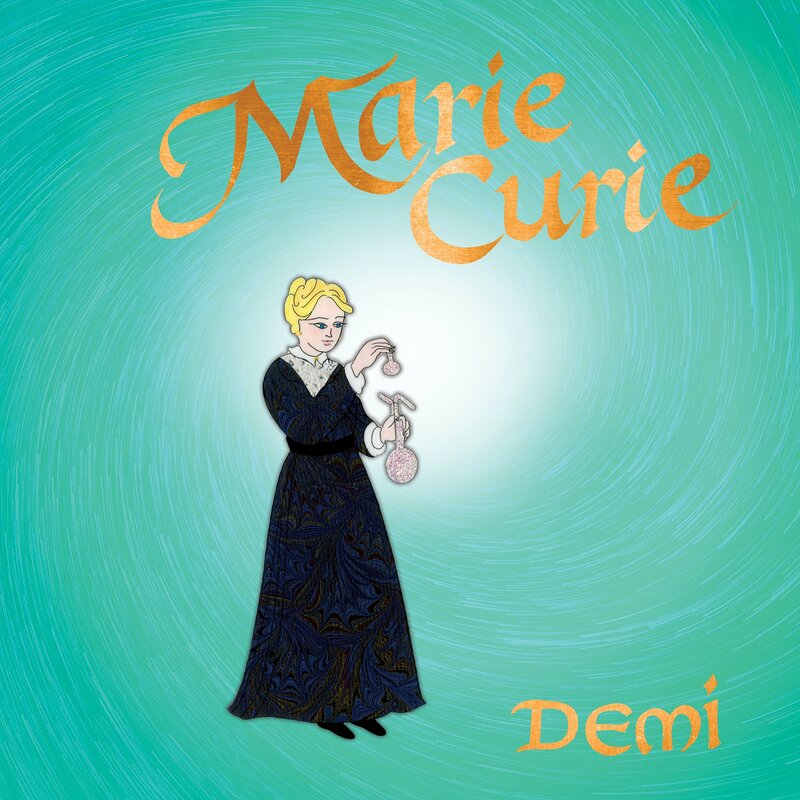 Not only did Marie complete degrees in physics and math at the top of her class, but she met another brilliant scientist, Pierre Curie. They married and pursued their work together, unlocking the secrets of uranium and radium. They won the Nobel Prize in physics; after Pierre’s tragic death, Marie continued their work and won another Nobel in chemistry. The dangers of radiation were unknown at the time (illustrated on the two pages showing women drinking radium and using it in beauty products), and Marie eventually died at the age of 66 from her long exposure to it. 40 pages; grades 1-5. 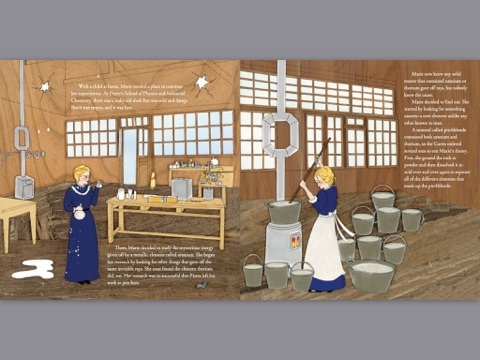 Pros: An excellent introduction to Marie Curie’s life; complete, but straightforward enough for primary graders. Demi’s illustrations are gorgeous, especially the patterns she uses for clothing, curtains, and carpets. Cons: Spending four years trying to determine the atomic weight of radium sounds like kind of a drag.